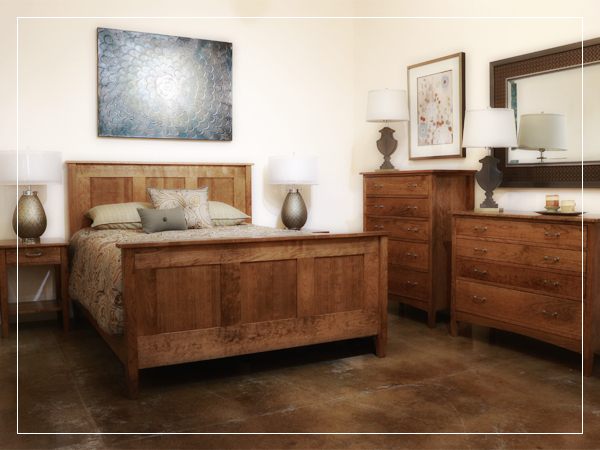 Jonathan Raised Panel Bedroom Set. 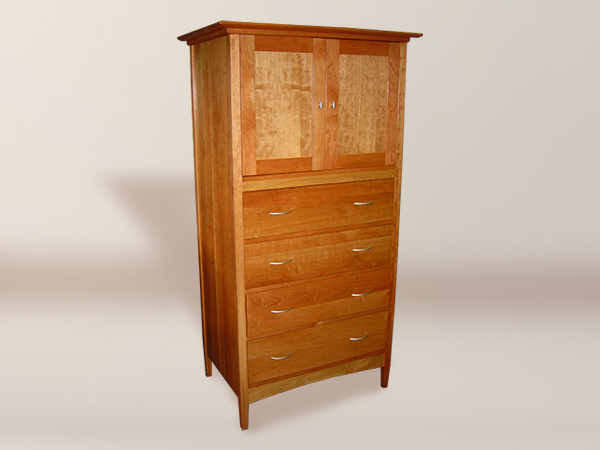 Shown in Cherry and Curly Maple with Natural Finish. 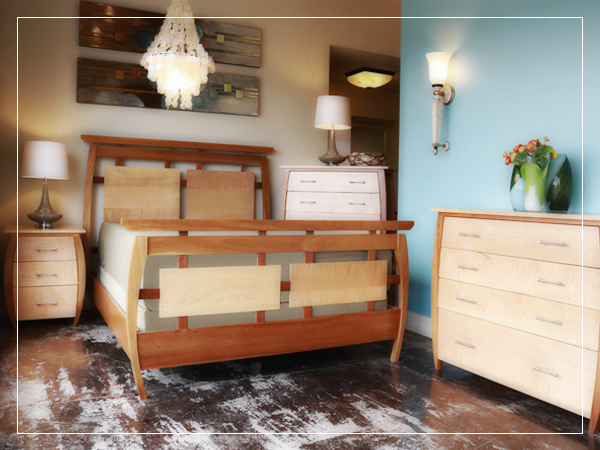 Choice of King or Queen Bed Size and Wood & Finish Combination. 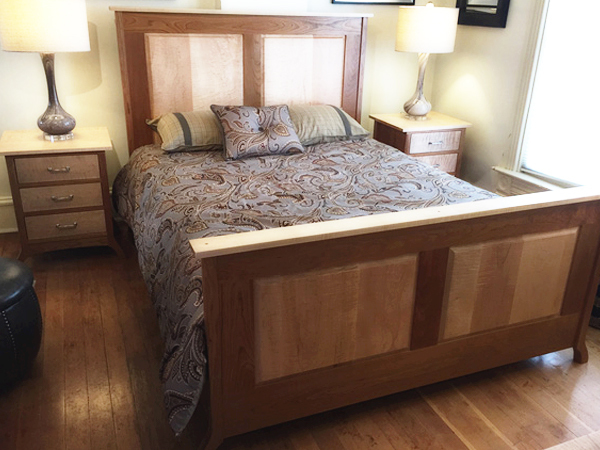 Mortise and Tenon construction on beds. 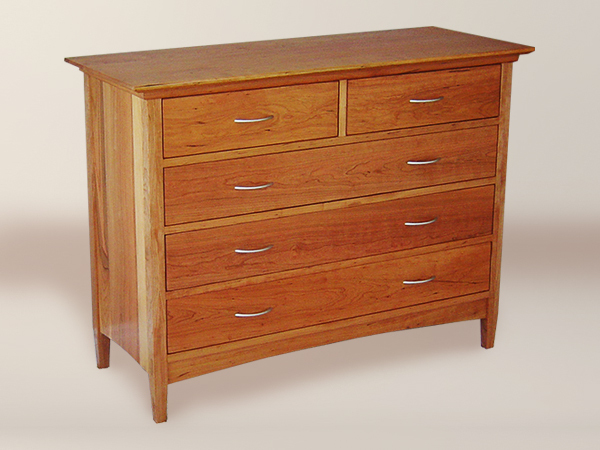 Dovetail construction on drawers with full extension slide.